Diamond prints, color blocking, and stripes, oh my! 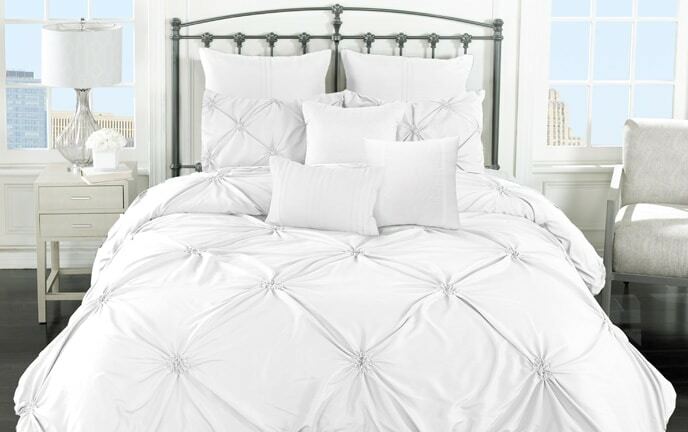 My Huntington 11 Piece King Comforter Set certainly has it all. Made of soft polyester, this comforter set features various patterns of blue and taupe throughout. You get the neutral nature of the taupe, mixed with the accent of beautiful blue, what more could you want? Finally, the multiple pillows, bed skirt, and throw complete the set!